How’s the Bible doing in America? 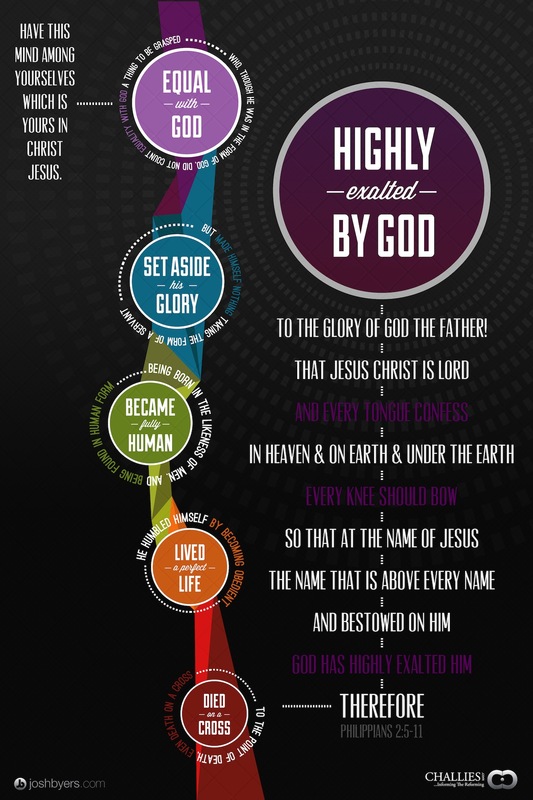 Marc Cortez shares an infographic that explains the state of the Bible in 2013. Young people (18-28) are more likely to see the Bible as an important source of “wisdom” in many life areas. They often see the Bible as an important source of wisdom for addressing family conflict and parenting, but not divorce. The percentage of Americans who are openly “antagonistic” toward the Bible has increased sharply in the last two years. Check out the whole infographic here. 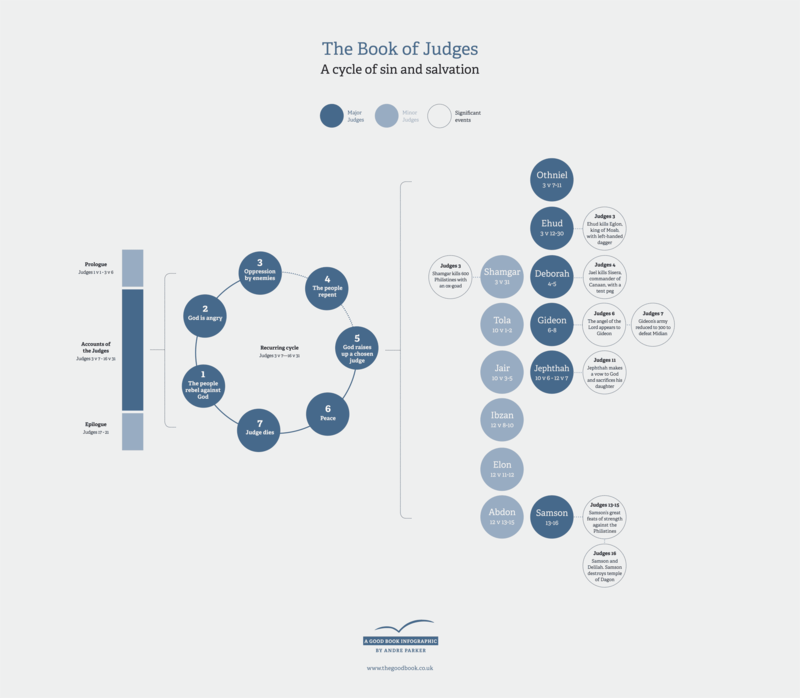 The book of Judges can be a bit confusing too read. . .and a bit discouraging at times. But here’s an infographic to keep handy the next time you study this sad period in Israel’s history. Click to enlarge. From the Good Book blog. Challies is up to 12 now: 12 great visual theology infographics that you can download for free and even get in prints for a cost. The series has now visited the ordo salutis, the attributes of God, the books of the Bible, Philippians 4:8, the genealogy of Jesus Christ, the Trinity, Philippians 2:5-11, the Old Testament tabernacle, the fruit of the Spirit, Reformed Theology and the One Anothers of the New Testament. Today it continues with a look at the atonement. Very well done! Worth checking these out! This year at our church we have been including one of the “one anothers” that are contained in the NT in our church bulletin each week. It is good to reflect on these commands of Christian fellowship one week at a time. Challies has just released a new infographic in his visual theology series on this very theme were you can see all the “one anothers” in one place. Click here, read the instructions and download which one you would like. When did that king live? I am about to begin reading 1 and 2 Kings and I’m pretty sure this infographic will be accessed often by me as I work my way through these books. When did that king of Israel or Judah live? Were they a basically good or bad king? Who was reigning in the other kingdom? Which prophets were active? Any significant events happen during their reign? A great infographic on seven sure signs of burnout and six strategies to defeat it, but some helpful wisdom for God’s servants.